OEC (Oriental Export Corporation) is a family owned company established in the year 1974 and is engaged in manufacturing of Electrical Products and Brass Fittings. 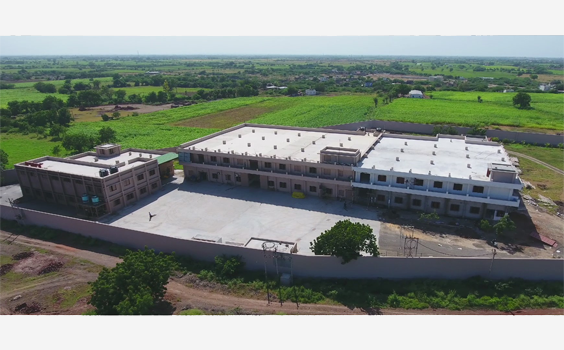 Our manufacturing facility is spreaded over three locations totalling to 175000 sq. ft.
Our comprehensive range of products manufactured are in compliance to international standards. Since 44 years the company thrives on the principle of quality and innovation, this provide us an opportunity to develop new products, market and new industry. Serving our customer means listening to our customers needs and understanding their requirements and helping them to be successful. Growth of our organisation comes from a combination of entrepreneurship, market creation, dedicated workforce and employees. Developing our employees by offering them development programs, fostering diversity of ideas and committed to high standard of ethics and principles creating an environment for work where people can thrive on. The vision of OEC is to continue the legacy of our Company and be a global leader in manufacturing of quality products. This vision will be accomplished through individual and combined dedication, sharing the responsibilities of planning and decision making with all of our employees, along with innovation and integrity. OEC will strive to maintain its relationship with the customers and be a company of excellence in supplying high quality standard product in Electrical & Automotive industry. Our mission is to produce and develop quality products at a competitive pricing while fostering a climate where environmental technologies can thrive. We will always strive to service our customer with the utmost integrity, and to their complete satisfaction. It is our goal to ensure that our mission will be accomplished by continuous self - improvement, growth in our operations and employees.